A robust accounting system is paramount to running your business smoothly. We understand that proper bookkeeping can be tedious or even a hardship for both small and medium businesses. Our mission is to provide your business with an all-encompassing bookkeeping solution. Our bookkeeping services are highly individualised based on your business’ requirements. We pride ourselves on keeping everything simple, upfront, and hassle-free for you. We use XERO and QBO to get the best possible snapshot of your business’ financial situation. There are no hidden fees or set-up costs, as well as no lock-in contracts. We also provide ad-hoc bookkeeping and BAS services. Your BAS, or Business Activity Statement, is a legal requirement for keeping your business in compliance and in good standing with the law. Without a proper, timely lodgement of your BAS, your business can be subject to a variety of fees and fines. However, lodging a correct and timely statement can be a burden for many business owners. I am a certified CPA and registered tax agent who is fully qualified to take care of your Bookkeeping & BAS lodgements and take the hassle out of the process for you. We offer ongoing monthly packages from $175/month, or hourly rates of $55 per hour, tailored specifically to meet your business’s needs. We offer BAS service packages to ensure every business has a starting point in getting a service that meets their needs. Depending on the size and scope of your business, you will have varying requirements for BAS assistance. Whether you need help confirming statement figures or need to ensure you’re in compliance with Goods and Services Tax (GST) legislation, we can help your business. Our BAS lodgement pricing commences from $125 which includes a review of your GST coding to ensure it is accurate and that all income and expenses have been included. 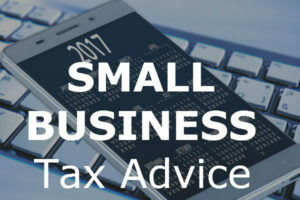 We can help you ensure that your tax obligations are taken care of and that your business remains in compliance with all current tax legislation. Since you will have to lodge your statements either quarterly or monthly, let us help you keep on track. We’ll help you remember your upcoming BAS lodgement obligations, so you don’t have to. Afterall, you need to focus on what you do best – running your business. We are fully qualified to handle your business’s BAS requirements, no matter the industry you’re in. Whether you’re a restaurateur, a contractor or builder, a small store owner, or in any other kind of industry, we have your business in the best hands. BAS lodgements are far from the only thing small and medium business owners have to deal with in the day-to-day of functioning. That’s why we provide a wide variety of services to help your business grow and keep track of your finances along the way. Many of our services can be paired to give your business an even better, and easier, accounting process. Our bookkeeping services include payroll assistance, superannuation, accounts receivable, and more. As a bonus, we offer reduced tax return fees for ongoing monthly bookkeeping clients. If it involves managing the business books, you can count on us to take care of it. One of the main reasons businesses fail is because there isn’t a good bookkeeping system in place that would provide warning signs the business could run out of cash. We provide a range of Accounting Software Setup & Training for any sized business. Select the right accounting software for your business. Stellar Accounts is XERO certified. We offer a free accounting software set-up service for ongoing bookkeeping clients. We specialise in bookkeeping and accounting for small and medium businesses. In fact, all your work will be performed by a CPA with over 15 years’ experience working with small business owners, tradies, etc. With well over a decade serving other businesses, we continue to give every business the same level of care and quality service, regardless of their size. After so many years serving our clients, we’re proud to be the bookkeeping experts that you can trust. You’ll enjoy the peace of mind that comes with our guaranteed accuracy and our qualified expertise. The scope of our services is designed wide enough to cover any type of bookkeeping or accounting needs your business may have. From helping you sort out payroll to setting up software, we help your business run with efficiency. We provide our service to fit every business and we’ll tailor our scope to fit your needs perfectly. That means that whether you need our assistance on occasion or on a long-term basis, we’re here for you. As a BAS service professional, I am here to make running your business easier. Don’t hesitate to contact us today, so we can help you stay in compliance and on time with your BAS lodgements. We’ll help you create a plan to make it easier than ever. Click here to visit our contact page and let us know how we can help you.